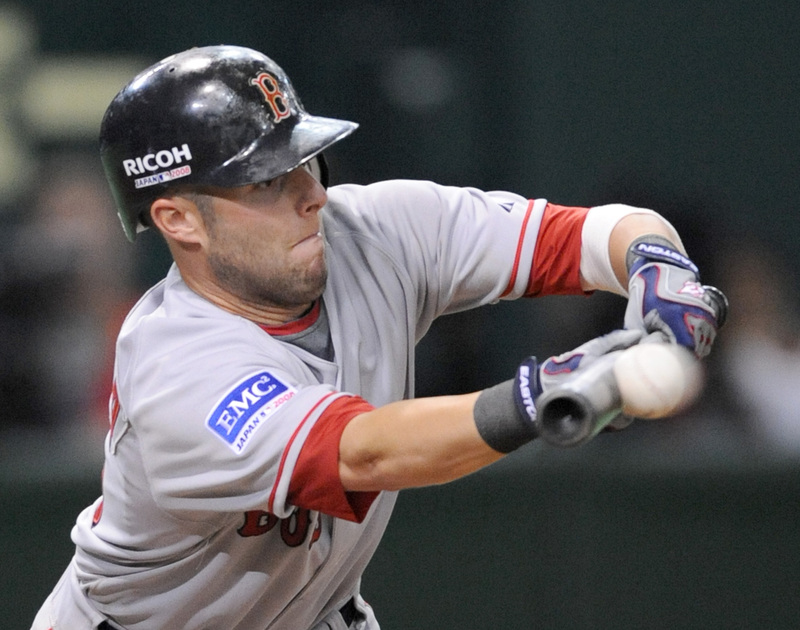 Pedroia signed to Six Year Extension! No, really…I could actually picture him saying this. And although, this doesn’t really qualify as another “piece of hardware” that Pedroia can add to his mantle following his MVP, Gold Glove, Silver Slugger season, I still gotta think he’s pretty happy about this one. Earlier today, we announced that we inked Dustin to a new six year extension that will keep him in a Red Sox uniform through the 2014 season, with a club option to keep him with the team for the 2015 season as well. How do I feel about this? As a fan? As a member of the Front Office? As a baseball enthusiast? Dustin plays the game hard every single day. You can tell he’s giving his all on every pitch and on every single ball that comes his way. He’s gritty, he’s scrappy, he’s (plenty) confident, and his spirit is infectious. We’ve gone through many secondbasemen in recent Red Sox history. Now, thanks to some great scouting, player development, and a heck of a lot of hard work and determination on Dustin’s part, we can take a deep sigh of relief in knowing that it will be one position we won’t have to worry about for quite some time. That sound you hear? 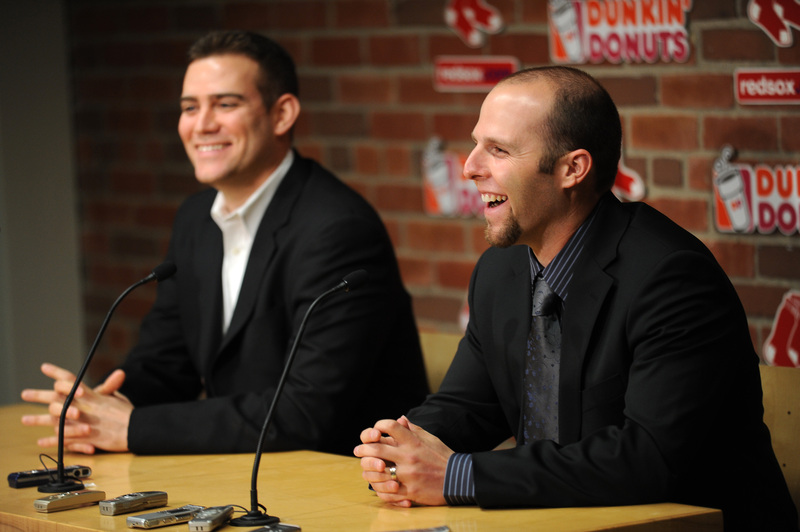 That’s the sound of the members of Red Sox Nation shedding tears of joy! THANK YOU for this early holiday gift! YES many thanks for keeping DP in RS uniform for as long as possible… i know teams don’t have many “lifers” anymore, but Dustin sure is one genuine, honest-to-goodness first person you pick for your team when you divvy up players. i guess i’d put in caption under his laughing face would be: “it’s the motion of the ocean!… ***** size!”. hella great news!!!! Should you be admitting that you watch the Hills? Haha. I’m not sure I’d be good at writing a caption for this. Greg – no I should not be. I’m sorry if any of my readers think less of me. YES! No re-sign Tek & Schilling.